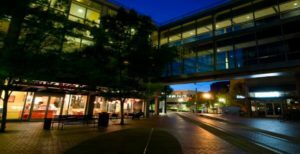 The sixth annual meeting of the International Consortium for China Studies (ICCS) will be held at The Carter Center, Atlanta, GA on May 31 and June 1, 2019. This is an invitation to member institutions of ICCS to submit applications for presentation/ attendance. This meeting will be hosted by the China Research Center of Atlanta, the China Program & the Latin-America and Caribbean Program of The Carter Center and the Institute of Developing Nations of Emory University. The academic planning of the 2019 ICCS meeting is in the hands of a planning committee comprising Hanchao Lu (Georgia Institute of Technology, history), Miaojie Yu (Peking University, economics), Xiaobo Zhang (Peking University, economics), John Knight (Oxford University, economics), Lina Song (Nottingham University, sociology), Philipp Boeing (Centre for European Economic Research (ZEW), economics), Yawei Liu (The Carter Center), Stephen Herschler (Oglethorpe University) and representatives from other hosting institutions in Atlanta. Submissions will be will vetted by this committee. The 2019 meeting will focus on topics relating to “The Rise of China and Its Impact on Developing Countries”. We would like scholars to dwell on the central question of how the rise of China is influencing the economic, political and social institutions in developing countries in the world and if the growth of China in the past 40 years represents a new alternative for sustainable development that defies the so-called Washington Consensus. Presenters are invited, where appropriate, to discuss the policy implications of their academic analyses. Each member institution of ICCS is invited to nominate one or two representatives to present a paper. A link to your official website (unless provided this year). We have created a web page for ICCS (http://iccs.nsd.edu.cn/), which will contain links to all institutional members. For each attendee from your institution: name, e-mail, short bio (unless provided this year), photo, arrival and departure dates. The meeting will be held at The Carter Center in Atlanta. The host member institution (China Research Center) will provide lodging for two nights (May 30 and May 31, 2019) for those who do not have other funds to cover these costs. The host institution will also provide five meals for the conferment presenters. We welcome a few scholars from other institutions to present at the conference but you will be responsible for your own lodging during the meeting. Application should be submitted to The ICCS secretariat, National School of Development (Jessie Dian Cheng, e-mail: iccs_secretariat@nsd.pku.edu.cn) AND the Carter Center (Dr. Yawei Liu, email: yawei.liu@cartercenter.org) no later than Monday, February 18, 2019. Does President Xi Jinping’s leadership mark the dawn of a newera for China? In what ways has his rule transformed “politics as usual” in the People’s Republic? 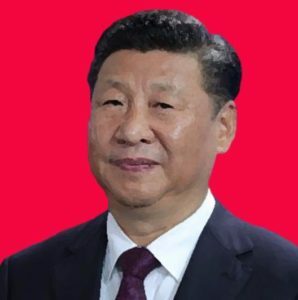 Since Xi’s elevation to General Secretary of the Chinese CommunistParty in 2012 and to the Chinese presidency in the following year, he has pursued policies with far-reaching ramifications. His unprecedented anti-corruption campaign, effort to consolidate authority leading up to the 19th Party Congress, widespread suppression of political dissent, and initiatives to build new linkages between China and global markets are indicative of the momentous nature of Xi’s ascent in Chinese andworld politics. Meanwhile, his nationalist vision has also extended deep into official cultural policy, limiting education in English language and foreign cultures at the secondary and post- secondary levels, while extending patriotic education in the Chinese classical tradition. From June 26-28, 2019, the China Institute at the University of Alberta will host a group of international scholars to present interdisciplinary and multi-disciplinary research at a conference on the “Xi Jinping Effect” in China to beheld in Banff. Co-organizers Ashley Esarey and Rongbin Han encourage the submission of abstracts from scholars in any discipline in the humanities and the social sciences, with the aim of revising select conference papers for an edited volume published by a university press. Interested researchers should send abstracts of 400 words or less to christine.bertok@ualberta.ca by January 21, 2019. For questions about the Xi Effect conference or book project, email Ashley Esarey at esarey@ualberta.ca. Notifications of acceptance will go out on February 4. The China Institute will provide participants with lodging for three nights in Banff, meals during the conference, and limited travel expenses, when necessary. Deadline: The submission deadline is August 4th, 2019. We require that those whose paper abstracts are accepted submit their full papers no later than September 1st, 2019. Language: The conference will accept papers in both English and Chinese. Required submission information: All paper abstracts or panel proposals must include the title, the author(s) or panel members, details of current position, the institutional affiliation, mailing address, phone number, and e-mail address for each author or panelist. For those in Mainland, you may have difficulty to get access to the google form. Please submit it with the attached form via email. For any submission related inquiry, please contact Dr. Ronghua Ouyang at ronghua.ouyang@unf.edu. Papers that are accepted for presentation at the conference could be considered for publication by American Review of China Studies – the official journal of ACPSS. After the conference, the collection of the conference papers and abstracts will be published on CNKI (中国知网). We welcome new members from all disciplines. To become an ACPSS member, or to renew your ACPSS membership, please visit our website at www.acpssus.org and download the Application/Renew Form. Once filled out, please send the form and membership fees to Treasurer Dr. Daliang Wang. All questions related to membership fees and registration fees should be directed to Treasurer Dr. Daliang Wang (dwang@highpoint.edu). Portland is the largest city in the U.S. state of Oregon and the seat of Multnomah County. It is a major port in the Willamette Valley region of the Pacific Northwest, at the confluence of the Willamette and Columbia rivers. As of 2017, Portland had an estimated population of 647,805, making it the 26th-largest city in the United States, and the second-most populous in the Pacific Northwest (after Seattle). Approximately 2.4 million people live in the Portland metropolitan statistical area (MSA), making it the 25th most populous MSA in the United States. Its Combined Statistical Area (CSA) ranks 18th-largest with a population of around 3.2 million. Approximately 60% of Oregon’s population resides within the Portland metropolitan area.